If you walk into any drug store, you’ll see multiple shelves lined with a colorful array of laxative options. From bottles to powders to tablets, the number of choices is mind-boggling. And that’s just the ones sold over the counter; laxative drugs are widely prescribed and frequently used. All of this confirms the prevalence of constipation, a condition that is not only inconvenient, but can have a profound impact on your health, including your bone health. If you suffer from occasional or chronic constipation and would like to avoid taking bone-damaging laxatives, many of which can create an unhealthy dependence and are quite toxic, then you’ll want to read today’s post on natural, bone-healthy, effective alternatives to OTC and prescribed laxatives. What Is The Problem With Laxatives? Because they are so common and doctors consider all of them “safe,” it’s easy to assume there’s nothing wrong with taking laxatives whenever you want to (or your doctor tells you to). But the regular use of laxatives – particularly the stimulant type – can cause you to become dependent on their continual use. These harsh laxatives can create dependence as the bowels rely more and more on artificial stimulation in order to move. Another common type of laxative causes the bowel to absorb water, softening the stool and allowing for easier passage. These laxatives are typically taken as a granular powder stirred into liquid and drunk, and they have no taste and little noticeable texture. But as benign as these laxatives seem, they are made from a toxic chemical known as propylene glycol. “Neuropsychiatric events” are the FDA’s euphemistic way of referring to autism, Alzheimer’s, depression, dementia, and other devastating neurological conditions. PEG is a neurotoxin, causing problems in two ways: by directly damaging cells, and by causing malnutrition. 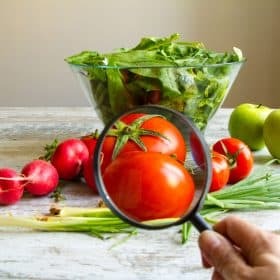 The latter is particularly problematic with regard to bone health, because nutrient absorption is the very basis for rejuvenating bones through a pH-balanced, nutrition-based diet. As if that weren’t frightening enough, PEG ingestion in also connected to kidney damage and urticaria (hives),2 as well as perforations of the esophagus. Savers undoubtedly know that functional kidneys are indispensible for bone health. According to the leading manufacturer of PEGs, they have a multitude of uses: as a plasticizer in adhesives and other materials, in ceramics, industrial lubricants, and toilet bowl cleaners, and to prevent drying and shrinkage of wood3 (to name a few). The bottom line is, PEG is highly toxic and is not meant to be ingested. Thankfully, there’s a better way that not only avoids harming your bones; the following alternatives actually help build and nourish your bones and whole body. Constipation is a matter of healthful digestion. Bowel movements are your body’s way of ridding itself of poisons, so healthful elimination is absolutely crucial for your bone health. Thankfully, there are quite a few delicious foods – many of them Foundation Foods in the Osteoporosis Reversal Program – that can aid and soothe this vital body process to promote healthful elimination and optimal nutrient absorption. So if you’re on the Program, chances are you’re already getting plenty of these foods. Remember, all of the following laxative alternatives should be accompanied by drinking plenty of pure water. Your bowels need water to soften stools and process nutrients, and your bones need hydration for healthy remodeling. So get your glass of water, and let’s get started with two sweet, alkalizing fruits that have been around since antiquity. Raisins are excellent sources of the Foundation Supplements boron and silicon, and both figs and raisins contain calcium, magnesium, and potassium. Like their equally-beneficial cousin, the prune, figs and raisins are good sources of fiber. A note about prunes – they’ve been hailed as a “miracle food” in the recent past4, but the key to their reputation as bone-loss-reversers is found in their high antioxidant polyphenol content. Plenty of fruits and vegetables contain these important antioxidants, including figs and raisins (and they’re alkalizing, while prunes are acidifying). Seeds and nuts make delicious snack foods that are excellent at improving digestion. Sunflower, sesame, and pumpkin seeds contain magnesium, copper, and zinc (pumpkin seeds also have bone-healthy manganese), and flax seeds contain calcium. Almonds boast calcium, boron, copper, and silicon; and unlike other nutritious nuts, almonds are alkalizing. These orange root vegetables contain lots of fiber, beta-carotene, and Vitamin B6, as well as bone-building manganese and magnesium. Both B6 and magnesium naturally and gently encourage intestinal contractions, and these nutrients also promote neurological health (in direct contrast to PEG-containing laxatives). Pumpkins are a Foundation Food for silicon, and their sweet orange flesh also contains magnesium, Vitamin A, calcium, potassium, and fiber. You can include cooked pumpkin in baked goods, smoothies, and soups. Delicious and widely available, greens like kale, collards, chard, beet greens, and spinach are excellent constipation remedies. These nutritious, leafy vegetables are also some of the best sources of plant-based, organic calcium. Greens make flavorful additions to soups, salads, and stir-fries. 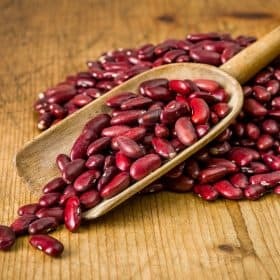 While most beans are acidifying, the humble and delicious lima bean is alkalizing, and just as good a constipation remedy as its acidifying cousins. Containing no fewer than 12 Foundation Supplements, lima beans can be eaten cold in salads, pureed into dips, and cooked into soups. Green beans and peas are also alkalizing, and contain bone-smart Vitamin K and magnesium. Green beans also offer folate and Vitamin B2, and green peas contain copper, zinc, and are a low-calorie source of Omega-3 fatty acids. Rich in Vitamins K and C, broccoli is an alkalizing cruciferous vegetable that’s full of fiber. It also contains folate, Omega-3 fatty acids, B vitamins, and calcium. Like many cruciferous vegetables, broccoli is an exceptional detoxifier, and not just because it helps cleanse your bowels. Broccoli contains valuable phytonutrients that promote your body’s own detoxifying enzymes. Broccoli is not the only Foundation Food with cleansing properties. 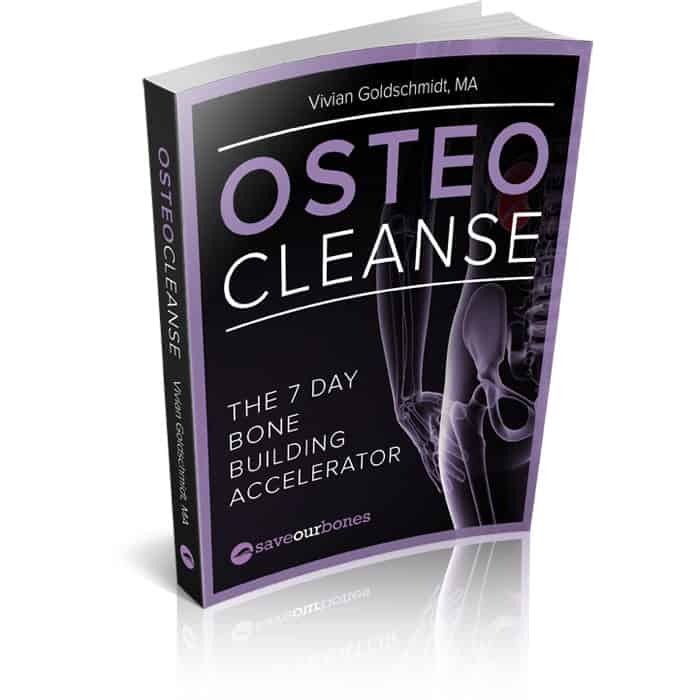 Foods like sour cherries, artichokes, grapefruit, apples, and carrots all have various cleansing properties that give them a place in OsteoCleanse™: The 7 Day Bone Building Accelerator. While cleansing the body is important for bone health, the concept can seem intimidating. But cleansing with OsteoCleanse™ is not the same as fasting; you don’t need to starve yourself, nor do you take tablets or capsules that “clean you out.” And there are certainly no harsh laxatives involved! Instead, OsteoCleanse™ is a 7-day journey rich in Foundation Foods chosen for their cleansing benefits: artichokes for liver health, parsley for kidney support, broccoli and arugula for enzymatic detoxification, and onions, grapefruit, and red grapes for quelling inflammation. Of course, these are just a few of the many varied foods in OsteoCleanse™, all of which have been scientifically proven to cleanse and support key detoxification organs and processes. And one of the best “side effects” of OsteoCleanse™ is improved digestion, which includes better bowel health. 4 Hooshmand, Shirin and Arjmandi, Bahram H. “Viewpoint: Dried plum, an emerging functional food that may effectively improve bone health.” Ageing Research Reviews 8(2009) 122-127. Yes, if you use Senna Leaves too much, they will make your constipation worse. they are meant to be used in the short term. For me, I use the Dr Max Powers 15 Days Cleanse. I DO NOT TAKE IT FOR 15 DAYS!!! I only take two pills the day i have constipation, and maybe the next day. NO MORE. And then I dont take it for a month, as you dont want you body getting used to it. A bottle lasts me about a year, and for the last year I have barely had any problems. Is there a natural alternative one could use in place of Moviprep (which besides PEG also contains Aspartame) in preparation for a colonoscopy? The experience is at best not pleasant and knowing that one is compromising one’s health by ingesting those chemicals just makes it that much worse. Thanks SO much for all the invaluable information you give us, Vivian. would love to have a printed copy of your recipe book. Hello Vivian. What about taking magnesium oxide tablets such as Phillips? I have IBS and get Diverticulitis if I don’t take at least one at night every night. Is this bad? I’ve tried just about everything natural nothing worked for me. This does. Could you please address the optimal calcium/magnesium ratio and the importance of magnesium in the diet. Recently, I read it should be a 1:1 ratio; whereas, in the past, we have always been told it should be 2:1 ratio of calcium to magnesium. Thank you! What about Benefiber which lists Wheat Dextrin as it’s only ingredient and on the Walgreen’s brand claims that it is 100% naturally-derived. Are you saying that this product is a PEG product?? I, too, am very interested to hear an answer to this. I have to take this product as all natural foods do nothing at all for me and I always drink 2litres and sometimes more of water a day. Thank you for answering our query Vivian. Yes, I would so like to be able to function on food based fibre alone. I have a large and very slow bowel, with the addition of a rectocele and eventhough I eat the required fruit & veg, legumes etc I do get trouble without the help of the Benefibre and at times will have to add 1 Coloxyl (green lable, stool softener, which contains 120mg of Docusate sodium). Would you know how the Coloxyl rates please. Thank you so much for your help. Thanks Vivian for all your research and help. What would we do without you?? I have been taking Diatomateous Earth for a couple of years now. It works like a charm and is usually found in health food stores or on line. Just stir it into any liquid (works great in a smoothie). foods I can include for helping the bowel function as it should. Thank you! I used to take Metamucil but after a long period of time it didn’t work very well. This past year I read an article in Life Extension magazine about taking some extra Vit C and Magnesium for constipation. I already take these as there is some in my Bone Restore Vitamins but I have been taking 1 extra Vit C and one extra Magnesium daily. It works very well and I have no problems with constipation now at all. Vivian, I was advised by a gastreoentologist to take lots of fiber because my stools are always so loose. I take Metamucil . What do you think about that? It contains phenylalanine ? I always prefer food-based fiber whenever possible, because in addition to potential toxicity and dependence, bulk-forming laxatives (indeed, any laxatives) have no nutritional value whatsoever. Instead, why not boost your bone and overall health with lots of phytonutrients found in plant-based fiber? Thank u for this interesting e mail. But you do no mention, that nopales and savila, in the latino culture, a wonderful, form of indian native, vegetables, rich in nutrients, and natural that we use in our recipes, They keep u regular, and adding calcium, naturally. Plus more benefits, that it is worth to be read about. Thank you for mentioning that, Teresa! i was always constipated, and when I developed Hashimoto’s disease it got worse. I didn’t want to take any drugs so I just put up with it. When I was told that I had osteoperosis my dr wanted to put me on Prolia. But after reading about the bad side effects of the drugs I said no way and started drinking smoothies every day, exercising and taking supplements. Voila! No more constipation. Great news, Ann! I love to hear how people can reverse health challenges through simple diet and lifestyle changes. Following the 80/20 alkalizing diet, with all the healthy fruits and veggies, it has really helped my acid reflux, my constipation, and my type 2 Diabetes, I no longer need acid reflux medication. Some of the recipes that l make are very scrumptious. Thank God and thank God for Vivian. What wonderful news, Evelyn! The 80/20 pH-balanced diet does, in fact, help the whole body. I am so glad you’ve not only benefited from the nutritional plan, but are enjoying the “scrumptious” recipes as well! Some other sources say that prunes are highly alkalizing. Why is there such disagreement? Either something is or isn’t. Or it’s just a theory. The pH level of individual foods is determined by burning them and testing the ashes for a PH reading. Unfortunately, some labs give different results than others, which accounts for the occasional discrepancies you see. Vivian, I have been using a product by Natures Sunshine called LBS 11 for constant constipation. It works great, but I was recently diagnosted with Oesteopena and wonder if it could be from using this product for an extended period of years. It’s ingredients are the following: Cascara sagrada bark, buckthorn bark, licorice root, capsicum fruit, ginger rhizome, Oregon grape root and rhizome, Turkey rhubarb root, couch grass rhizome and red clover flowers. Please advise as soon as possible.. Thank you!!! The first ingredient in the herbal laxative you described is Cascara sagrada, which is a stimulant laxative. Even though it is herbal, and there are other soothing herbs included in the blend, I’d advise you to use caution with this supplement due to the stimulating nature of Cascara sagrada. Ok thank you for the advise! Papaya is an excellent source. Sweet potato surprised me. Good to know. Vivian is right on target about stimulant laxatives damaging the large intestine. My dear grandmother took them for years. When she had surgery in her latter years, the doctor removed several feet of dead intestine. Bad stuff. Food sources are so much yummier! I find dancing works brilliantly for me. You’ve got a point there, Pearl. Exercise is very helpful for getting the bowels moving, and dancing is fun! Just a mint tea each morning (made by chopping up the leaves from a small bunch of fresh mint with scissors but also eating the leaves once the tea has been drunk) worked wonderfully for me when staying somewhere where the diet wasn’t ideal and had rapidly given me complete bowel stasis. Extra veg hadn’t worked (partly because they didn’t understand what a proper portion of veg was) but the mint tea plus extra veg did. Though it was also a reminder of how important good diet is for our immune system – I had the worst flu ever on my return, which has lasted 7 weeks and still isn’t totally gone; normally people around me get flu but I never do. PS I would also caution people to think hard before ingesting PEG (as Klean Prep in the UK) to clear the bowels before a colonoscopy. 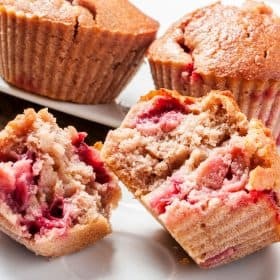 The first time I had it I was OK, but the second time it made me really ill – I felt nauseous immediately on taking it but wasn’t actually sick until trying to have food following the colonoscopy (1 small bite of banana). I then vomited for a full 24 hours, every 20 minutes, even though taking only water during this period. I think it also wrecked my gut flora which have taken a full year to re-establish. The colonoscopies themselves were, I think, the results of false positives in the occult blood test – this test (which I routinely performed myself as a clinical biochemist many years ago without realising) doesn’t actually test for blood but is a direct test for colour – broccoli in particular (along with many other veg) can give a false positive. There is a test for actual blood in stools, but in the UK the NHS doesn’t perform this so you have to have it done privately. The rationale seems to be that the occult blood test does pick up blood and it is better to have a colonoscopy on a false positive than not to have one (but surely it is better to actually test for blood ?? – colonoscopies themselves are not without risk.) The quantity of PEG taken to clear the bowels before a colonoscopy is obviously much higher than in laxatives, but my experience does suggest to me that PEG is not something we should be taking at all, as Vivian says. It is sad that the medical profession seems, in general, to be so blind to the side effects of ‘pharmaceuticals’ and so unwilling to inform itself about safer natural alternatives. Thank you for sharing your experience and insights, Janet. You make several excellent points, including the information about false positives and the toxic nature of PEG, especially in large amounts.